Congressman Ron Paul is bad for America on so many levels. There were the anti-black/ anti-Semitic Newsletters which were published under his name (which he claimed he never read). And yes there were those really whacko public statements like; the federal reserve was behind Watergate, that Lincoln was wrong to push us into a Civil War over slavery, or his assertion that condemning the HAMAS terrorist rocket attacks promotes violence. But those items only suggest that the Texas Republican Congressman is a bigot as well as a bit of a lunatic, which not bad by today’s congressional standards. On top of all that, Congressman Paul is a hypocrite. 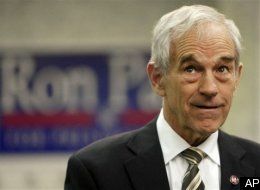 Ron Paul is believed to be a “fiscal conservative” and if you ask him he will tell you that he has never voted for an earmark. That statement is 100% correct. What Paul does is to make sure that the earmarks he wants are put into a bill, and then he votes against the bill. Its the best of all possible worlds. He gets to bring home the bacon on a local basis and makes the anti-earmark claim on a national basis. 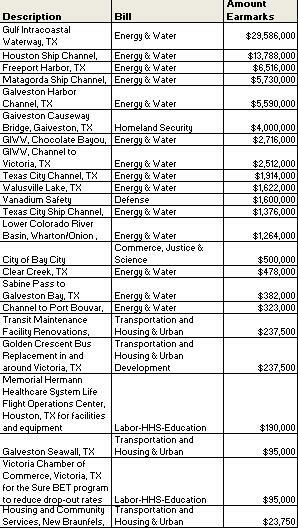 During the 2009 Fiscal Paul sponsored or co-sponsored 23 earmarks totaling almost $81 million dollars. That’s almost $105 million in earmarks over two years. Can you imagine if he wasn’t a fiscal conservative? In 2009 Paul appeared on Neil Cavuto’s Fox News show to defend his earmarks. CAVUTO:Congressman, the rap is that you’re a porker, that — that a lot of pork, $73 million-plus, went to your district. Is that true? REP. RON PAUL, R-TEXAS: Well, it might be. But I think you’re missing the whole point. I have never voted for an earmark. I voted against all appropriation bills. So, this whole thing about earmarks is totally misunderstood. The Congressman believes that the earmarks are just fine as long as he is open about them. 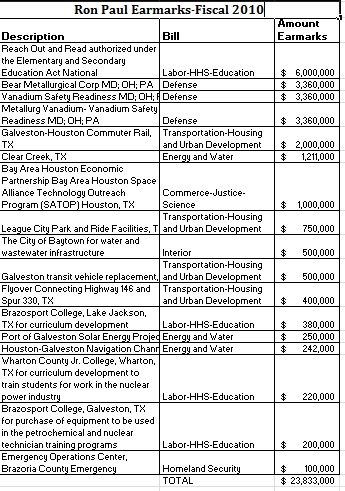 These earmarks may very well be legitimate programs, but by specifying the location and the recipient of the program there is no thought given to “is this the most efficient place to house this program?” Money can be sent to a place that does not have the best resources or personnel to implement the earmark, causing a program to be more expensive than if it were done in someone elses district. Paul may be very transparent about the hypocrisy of requesting an earmark then voting against the bill (because he knows it will pass), but his twisted logic doesn’t make it any less hypocritical. Whenever I post something negative about Ron Paul (which is just about every time I post about him), I get the NASTIEST comments and emails. He doesn’t have a lot of supporters but those that do are very well organized and support him do so with a passion. The problem is Ron Paul does not represent himself truthfully. Along with his history of being a “drooling crazy” type and a bigot, the man is the typical Washington DC spin-master, saying one thing but doing another. He has a good fiscal script but frankly we have all seen that movie before and it got old a long time ago.